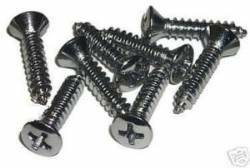 Chrome plated sill plate screws. Set of 8. Correct GM size and length.